The novel’s protagonist is a scientist identified by a narrator simply as the Time Traveller. The narrator recounts the Traveller’s lecture to his weekly dinner guests that time is simply a fourth dimension, and his demonstration of a tabletop model machine for traveling through it. He then reveals that he has built a machine capable of carrying a person, and returns at dinner the following week to recount a remarkable tale, becoming the new narrator. 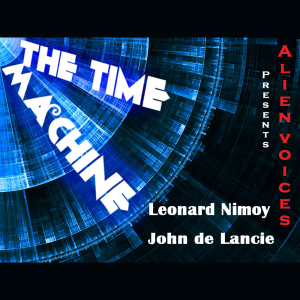 The Time Machine was produced by Alien Voices, incorporated.